Epilators are hair removal tools that remove hair from the root. While tweezing, sugaring, waxing and threading are all forms of epilation, you can also purchase epilator devices which use rotating, tweezer-like heads to remove hair. 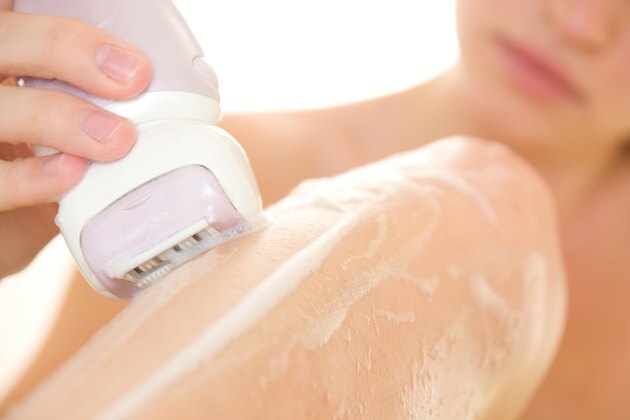 No single hair removal method is best for every person, or even for every type of hair, but there are a number of advantages to using an epilator. An epilator is a fairly inexpensive purchase, typically less than $100. More importantly, purchasing an epilator is a one-time expense, unlike the purchase of shaving equipment, or waxing and sugaring products. Using a epilator is not a messy process. Although some epilators can be used in the shower, an epilator does not require water or shaving cream, and there is no residue left on the skin afterward. Epilators are designed for home use and do not require a trip to the salon. Epilators are small enough to toss in a suitcase and take with you when traveling. Epilators can be used on the legs, arms, face, underarms and bikini area, although special epilators may produce better results on the underarms and bikini area. Because epilators remove hair from the root, the results last longer than shaving. It can take two weeks or more for significant hair regrowth to occur and require additional treatment. Additionally, epilators can generally remove shorter hairs than other epilating methods; if you wax, for example, hair must reach a certain length before it can be removed. With continued epilator use, hair follicles become damaged, leading to regrowth that is finer; in some cases, it leads to the death of the hair follicle, with no hair regrowth at all.